Know that bedwetting is often a normal part of growing up. Most children don't stay dry at night until about the age of 3. And it's usually not a concern for parents until around age 6. 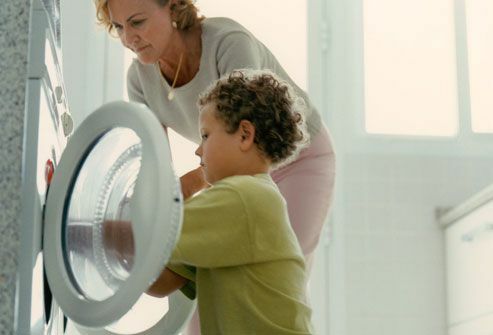 There are ways to work toward dry nights as a family. Reassure your child by being supportive. He isn't wetting the bed on purpose. And bedwetting isn't typically a sign of an emotional or physical problem. Explain that it is normal, very common, and that he won't always wet the bed. Bedwetting often runs in families. If you or your partner wet the bed as a child, talk with your child about it. It'll help him see that people do outgrow it. And it may help him feel less alone and embarrassed. Many things can lead to bedwetting. It could be slower development of bladder control or heavy sleep. Stress and anxiety can be a cause. A child who's been dry and suddenly starts wetting the bed may have an infection, or a big life change such as a move may be bothering her. Be sure to speak with your doctor if this is a new problem. If she's 4 or older, ask for her ideas. What might help her stop wetting the bed? Brainstorm together. Drinking less in the evening and cutting back on caffeinated drinks may be worth trying. You can also offer options such as absorbent pants or waterproof sheets. Reassure her that most kids out grow this. 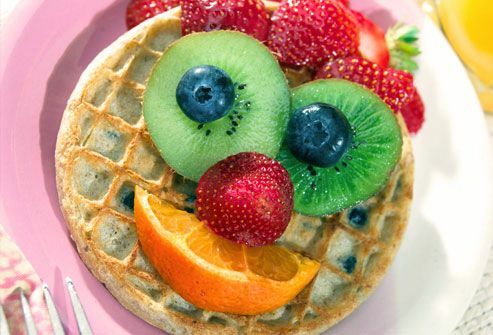 By keeping it positive and involving her, you'll help build her confidence and encourage good bedtime habits. Some families mark wet days and dry days on a calendar. Stickers or stars can make it fun. If she wets, be supportive and remind her that results will come if she keeps up her efforts. 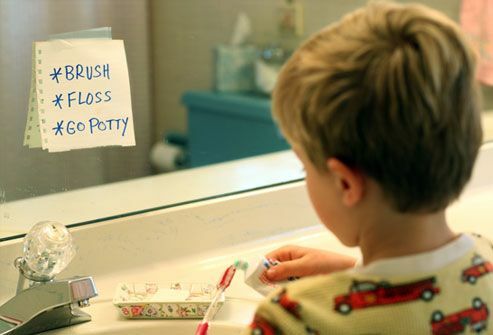 Make using the bathroom just before he gets in bed part of his bedtime routine. Also remind him that it's OK to get up during the night to use the bathroom. Nightlights can help him find his own way when he needs to go. Does Waking During the Night Help? Resist the urge to wake your child a lot during the night. If you use this approach, waking once a night should be enough, perhaps right before you go to bed yourself. 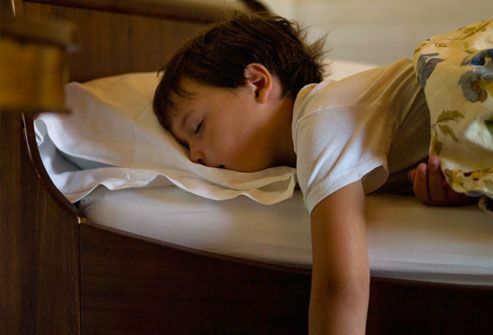 Keep in mind that if you deprive your child of rest and sleep, you may increase his level of stress. Stress can be a bedwetting trigger. When he wets the bed, he can put his PJs in the hamper or help you change the sheets. Make sure he understands it's not a punishment, just part of what has to be done. The idea is to make him more aware of his bedwetting without scolding him or making him feel ashamed. Accidents happen. And when they do, urine can leave a stubborn odor in clothes and in bed linens. 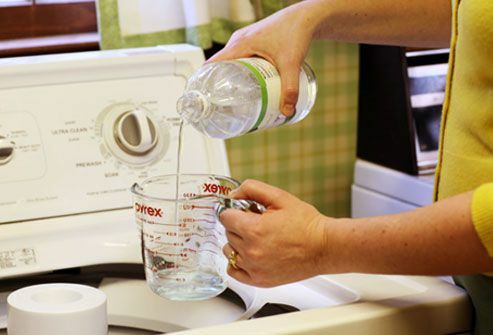 Try adding a half cup to a cup of white vinegar to your wash to remove the smell. If you need to clean urine from a mattress, first use towels to blot up as much as you can. Keep blotting, but don't rub, until no more moisture comes to the surface. Once you've blotted up as much of the urine as you can, saturate the entire area of urine stain with hydrogen peroxide. Let it stand for 5 minutes, and then use towels again to blot the area dry. 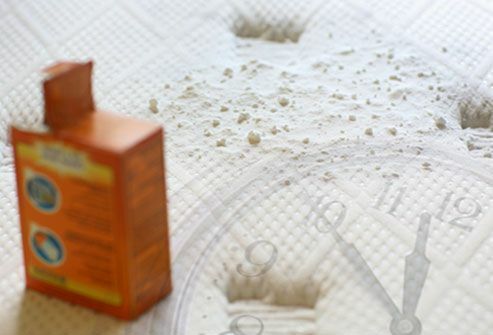 Once the mattress is dry, sprinkle baking soda over the entire area and let it stand for 24 hours. The next day, vacuum the baking soda away. It should be clean and odor free. If your child is nervous about sleepovers, remind her of the steps she uses to stay dry at home. Giving her absorbent pants and extra clothes in case of an accident might put her at ease. A sleeping bag with waterproof lining may also help. Beforehand, notify the adult host that your child may have some worries about bedwetting. Discuss your child’s plans for handling it so everyone feels prepared. Some medications (desmopressin or imipramine) may help for special occasions when your older child wants to stay dry, such as at camp. Scolding or losing your temper won't make your child stop wetting the bed. Don’t bring up bedwetting in front of others to try to shame her. Embarrassment will only increase her stress and anxiety. Meanwhile, remember that bedwetting eventually does stop. Try practicing patience and providing support while you wait. Bedwetting can make your child an easy target for teasing. To help him handle it, make your home safe for him. Don't allow anyone in your family to tease about it. Explain to siblings that bedwetting is something their brother doesn't have control over and that he needs everybody's love and support. 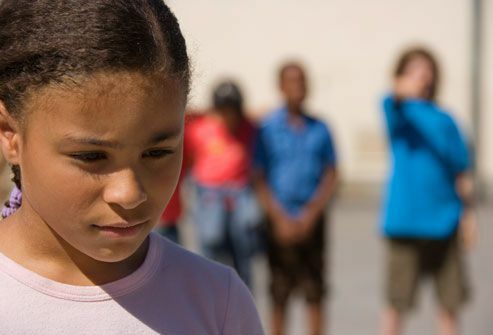 If your child avoids other children or comes home with unexplained injuries, she may be being bullied. 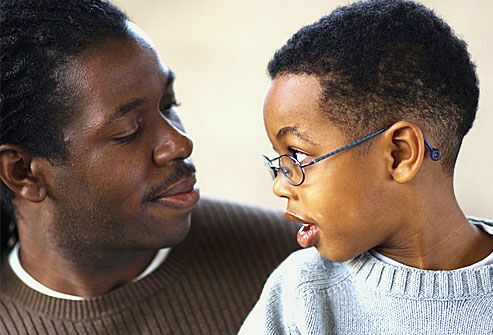 Listen to what your child says. Talk with her and let her know that you know it's not her fault. Then talk with people at her school and ask what they've seen. Be proactive and work with the school to find ways to make the teasing stop. 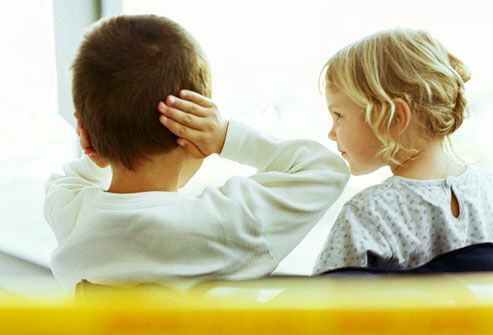 If your child is still bedwetting at age 7, consider setting up a doctor's visit. While there may be a medical problem, most of the time there isn't. Also, see the doctor if your child suddenly starts wetting the bed after being dry for 6 months or more.